It’s a Whole New Ball Game for Kids! Obviously, we want your kids to learn tennis! After all, it’s a sport for a lifetime and great exercise. But where do you start ? How do you know they’ll even like the game? Thanks to changes in tennis teaching methods and products sized just right, kids will have the time of their life – from the first time they play! We’ve got all the information and tools you need to make sure your kids will love tennis from the start and enjoy playing the game! We go beyond tennis by mentoring the kids to be great students in school and a upstanding kid in the society at large but with Tennis comes discipline and ability to work hard and get along with people from all works of life. 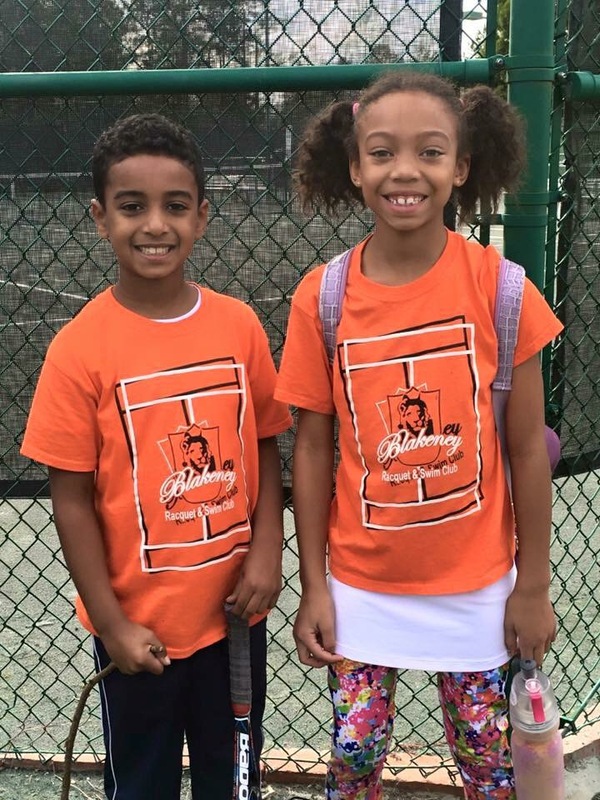 We will help the kids go as far as they want to push themselves to prepare for high school or college tennis and even getting tennis scholarships. Our after school tennis program below gives you a view of the different classes available. Days: Tuesday, Thursday 4:15-5pm and Saturday 11-11:45am the third Saturday in October through the end of May. Saturday 9:15-10:00am June through the second Saturday of October. Red Ball II (Ages 8 and under) Program focuses on basic stroke techniques, movement, and consistency on the 36’ Quickstart court, while keeping tennis fun. The red ball is used. Days: Tuesday, Thursday 5-6 p.m. and Saturday 10-11 a.m.
Days: Monday, Wednesday, Friday 5-7 p.m. and Saturday 12-2p.m. Days: Monday, Wednesday, Friday 5-7 p.m. and Saturday 12-2 p.m.
Academy Levels Elite A, B, C Program is designed for advanced players who are playing tournaments and or are on middle or high school tennis teams. Our professionals work with players to take their skills, fitness, mental focus, and game to the next level. Elite/A Monday, Wednesday, Friday 5-7 p.m.